Fresh flowers are great―everyone loves receiving them. But inevitably they're already on the way out the door (and into the trash) by the time they arrive. Plants―living, breathing, life-sustaining plants―are where it's at! Authors Lauren Camilleri and Sophia Kaplan really want you to love indoor gardening and growing as much as they do. Leaf Supply profiles and provides comprehensive (but easy to follow) care instructions for 100 houseplants―including tropical plants, palms, hanging plants, succulents, cacti, and more unusual varieties such as air plants and carnivorous plants―ensuring you learn and grow as your plant grows. But much more than a plant guide, Leaf Supply also gives interior styling advice on choosing the right pots for your plants―both aesthetically and practically―as well as best utilizing your space, making the most of your indoor greenery, plus advice on pet-friendly (as well as harmful) plants for your home. This is a comprehensive guide for any budding green thumb interested in greening their apartment or inside their home. 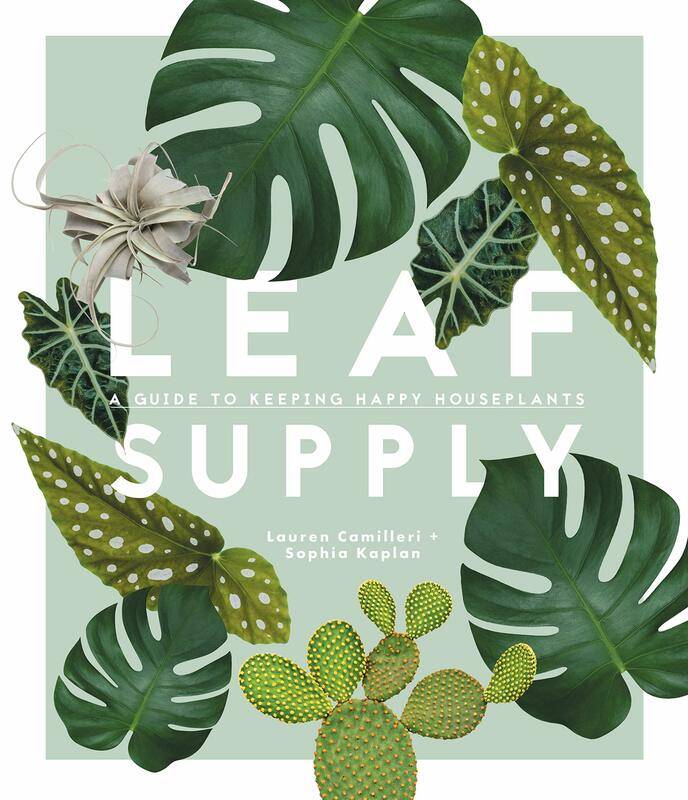 Leaf Supply is the love child of two friends and massive plant nerds, Lauren Camilleri, a magazine art director and interiors addict who owns online plant and design store Domus Botanica, and Sophia Kaplan, the plant stylist behind Sophia Kaplan Plants & Flowers and blog The Secret Garden. Lauren Camilleri With a degree in interior architecture, graphic design in her bones and a love for foliage, she lives for matching the right plant with the nook where it can live its best life. Her addiction to ceramics is a sickness. Favorite plant: Monstera Delicosa (aka Swiss cheese plant) those graphic glossy leaves are a designers dream. But it's definitely not a case of style over substance with this beauty, they're also robust and delightfully low maintenance. Sophia Kaplan Styling plants and flowers into living art that makes people happy is Sophia's obsession-slash-divine calling and, joyously, also her day job. After studying communications and working in advertising at The Glue Society she felt the pull to change and started her own plant & flower styling business, after a few years of gaining experience with different florists and garden designers. Favorite plant: Begonia because of its beauty and wildness. There are over 1700 species, from the 'Wightii' with its burgundy underside, silver spots and delicate white flowers, to the 'Illumination' with its rose-like petals.